The governor’s proposed budget has the Museum Arts and Culture marked for termination. Will the MAC survive 2011? Ron Rector, director of the Museum of Arts and Culture, is upset. He’s perplexed. The results were worse than his plausible worst-case scenario. In the summer, the governor’s office called up Rector and asked him to estimate costs for three scenarios: maintaining the status quo, staying open without new exhibits or closing down entirely, but preserving the artifacts inside. Last week he received a call. The governor’s verdict: Shut it down. The proposed budget — and it’s still just a proposal — would drastically slash the MACs funding to less than Rector’s figure for what it would cost close it down entirely. All 68,000 artifacts — 10,000 photos of Plateau Indian culture, rolls and rolls of quilts and textiles, thousands of paintings from local artists — would be locked away. All traveling exhibitions — the movie costumes from 2009 or the upcoming facsimiles of Da Vinci’s inventions — would skip over the eastern side of Washington entirely. The Campbell House would be shuttered. All but three of the 35 on staff would be fired. It’s not like the governor wants to close the museum. After this year’s election results, raising taxes clearly isn’t an option. So the budget axe went a- hacking, slicing off an entire state Basic Health Plan and paring away at food assistance programs and disability lifeline grants. State Senate Majority Leader Lisa Brown, a Democrat from Spokane, says the budget cuts are so deep there’s a lot on the list to try to save besides the MAC. For starters, Brown says she’ll be fighting hard to maintain funding for a Spokane medical school. “It depends on what we’re able to come up with for alternatives,” Brown says. But with the size of the budget gap, Rector says, the Museum of Arts and Culture budget is practically a rounding error. Closing down the MAC would only save $2 million across the biennial budget, only solving 1/2300th of the budget crisis. Rector suggests the governor look at other areas to cut. “Since the governor has been in office, her [administrative] head count has increased 50 percent,” Rector says. Gregoire introduced new early learning programs, he says, that have grown to over $50 million. 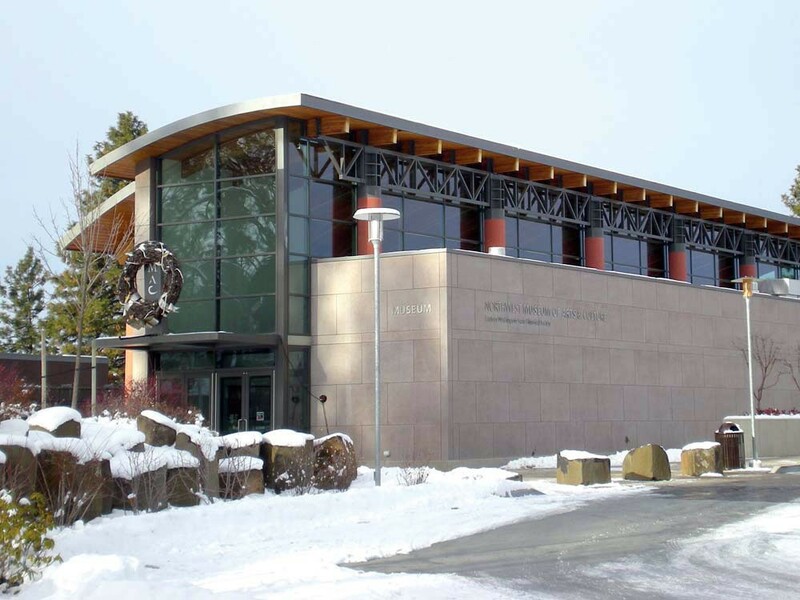 Meanwhile, to replace an inadequate library and archive building, Olympia is getting a brand-new “Heritage Center” — which will function partially as a museum. Operation funding will come from document fees, but Rector says the construction has to be paid for by the state. Chris Schnug, the MAC board president, motions out the window. “What’s the impact to this whole neighborhood having a campus that’s dark?” Schnug says. Crime up, she guesses. Real estate prices down. There are expanding ripples of consequence, Rector says, to closing down the MAC. There’s the loss of $10 million in economic impact to Spokane a year. There’s the cost of paying unemployment for 32 new people and the cost of losing businesses that don’t want to relocate in a city without a museum. And then there are the consequences of losing a crucial cultural bridge, Rector says. Michael Holloman director of the Center for Plateau Cultural Studies, says local tribes have used artifacts — some very sacred and personal — for education and reinforcing cultural traditions. In the meantime, Rector says Spokanites are flooding the museum with calls asking exactly what to say to their state legislators. Rector remains confident the state Senate delegation from Eastern Washington will come through. Last year when the MAC was struggling, Rector told the Inlander that even if the state cut every last penny, he’d find a way to keep it open. He reiterates that promise today. “I will come up with a plan,” Rector says.